A 12 pulse variable frequency drive (VFD) will develop a harmonic signature with high magnitudes on the 11th and 13th order. The good thing is the typical harmonic signature exponentially falls off as the order goes up. This is the reason that an 18 pulse VFD will have less harmonics than a 12 pulse VFD and so on and so forth. Another advantage is the DC buss will have less distortion when a multi-pulse front end is used. 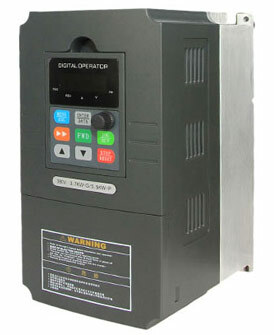 Most medium voltage VFD comes standard with 24 or 36 pulse front ends. If you are looking at just the 5th and 7th order, a high degree of mitigation is accomplished using a 12 pulse front end on a device (w/a phase shifting transformer and 12 diodes). The caveat with the multi-pulse solutions (12, 18. 24.....) is that voltage balance is very critical. If the phase to phase voltage is not externally close, the effectiveness of that mitigation scheme is compromised. The advantage of the multi-pulse solution is that it can be applied to both low and medium voltage. Another passive solution is the filter. This filter is a circuit that mitigates the VFD overall harmonic signature. They are especially effective on AC drives with diode front ends but do a decent job on DC SCR fed devices. We actually package these types of filters in units up to 6000 Amps/690 Volts in both NEMA Type 1 and 3R. They are only available in low voltage configurations at this time. The achilles heel of this solution is the capacitors. They are compromised by heat and voltage transients. It is very important to keep them as cool as possible and to apply some type of surge protection device on that circuit. We use Surge Protective Devices (SPD) on the cap circuit. The SPD does not require any OCP and when at "end of life" they become a bolted short. Since they do not require an OCP device, we choose to install one (typically a circuit breaker with aux contact) to monitor the circuit and remove the SPD from the circuit. This enables the device to keep operating and provide annunciation that a SPD needs attention. All of our high current, packaged units, 1000 to 6000 Amps, come with a built in power factor monitoring system that inhibits the capacitors if the power factor gets too close to unity. Active harmonic filters are a great solution for retrofits as they are a parallel device and cannot be overloaded. These units are becoming more common as they are gaining acceptance in the marketplace. 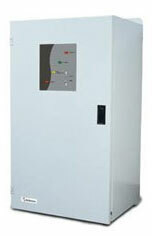 These units can go up as high as 360 Amps and can have a maximum of 690 Volts (Comsys). The largest unit I have seen to date was a 2700 amp system what was used for flicker compensation on a MV power grid. Medium Voltage grid harmonic compensation is easily accomplished using a step-up transformer. As the price of these units drops and they gain more acceptance in the market expect to see more of them in the field. On SCR systems it is sometimes recommended (cost VS compensation) to use a hybrid, passive/active system. Passive solutions have a hard time getting the grid to a point that meets IEEE-519. We have used the passive solutions to do the "bulk" of the work and then use a much smaller active device to bring the grid into compliance.